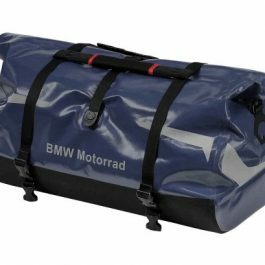 The main compartment with taped, closeable interior liner is designed to be completely waterproof. Awkward rain covers are not necessary with this tankbag. Innovative map compartment made of welded TPU film with a patented insert to accommodate items such as a call phone. Zip fastener for access to the map compartment. Two side patch-type pockets for small items, accessible by means of rubberized zip fasteners. The side pockets are splash-proof. Strap handle at the front of the tankbag. 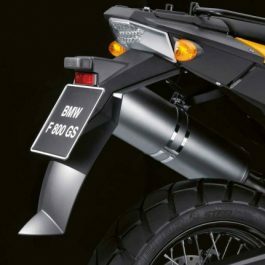 The bottom is made of ethylene vinyl acetate (EVA) and is shaped for a snug fit on the fuel tank. It also has a soft PU surface layer for optimum grip on the tank. The quality workmanship and the material combination of the entire tankbag ensure that it remains firmly in place even at high speeds. *Tankbag includes rear adapter with Velcro Fastener. 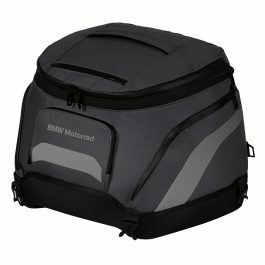 It’s possible to install the tankbag together with the BMW Motorrad Navigator. 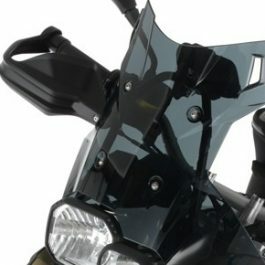 The adapter has two special extensions at the rear, designed to hook into position underneath the seat, and a Velcro fastener holds it firmly in position on the airbox cover panel. The rider hooks the trailing edge of the tankbag to this adapter and then secures the tankbag in position at the leading edge with two strong hooks that engage the frame. Material: Sturdy Nylon – coated, washable surface. Color: Black Capacity: Approx. 14 liters. No expansion. 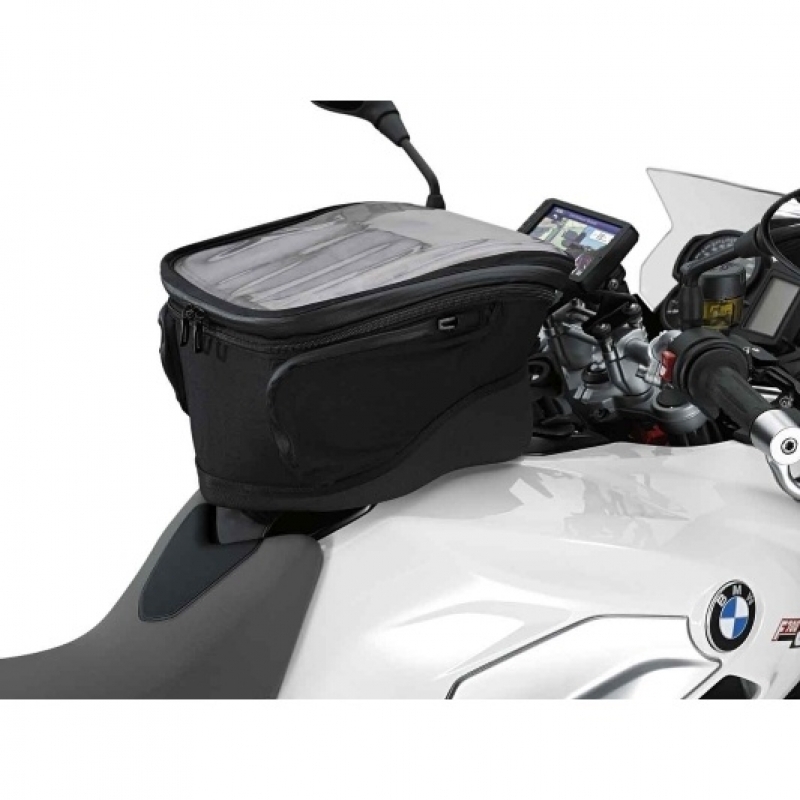 Be the first to review “BMW TANK BAG F700GS / F800GS / F800GS Adv” Click here to cancel reply.